SUMMER 2016 KYOTO, Japan. The genesis of the world’s first Butoh theatre. Student rate 3000JPY with valid student I.D. 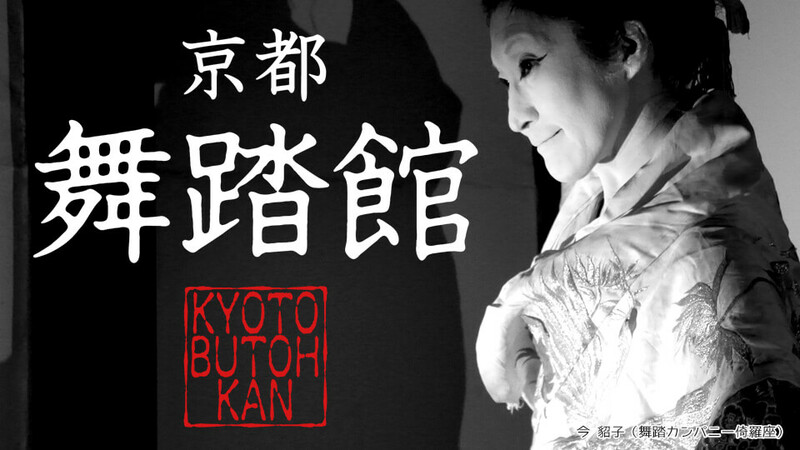 What is the Butoh-kan Project? the world’s first theatre expressly devoted to regular Butoh performances. we will create the world’s most comprehensive Butoh website. Butoh is an avant-garde dance that was born in Japan in the late 1950s. 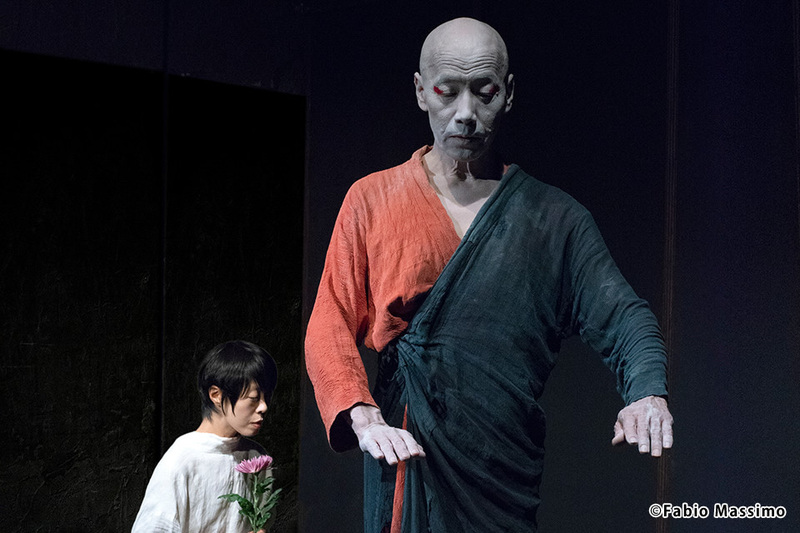 Art Complex has revived an ancient Japanese storehouse—an intimate space limited to maximum seating 9 people—which will be devoted to ongoing Butoh performances, so that Kyoto becomes "the place" to see Butoh dance. Furthermore, we are creating a Butoh Web Portal that will serve as an international resource for information about Butoh. 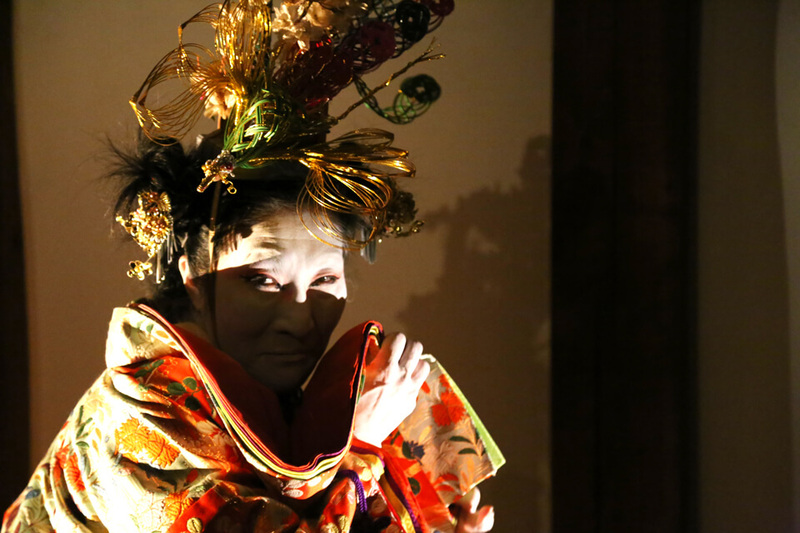 In adding to the attractions of Kyoto and sharing Japanese Butoh with the world, we are proud to establish the Butoh-kan.
A valuable cultural resource, it is a "kura," or earthenware storehouse that was built in the latter-half of the Edo Period (1603-1868). It managed to escape the riots of the Hamaguri Rebellion of 1864, in which rebels and shogunate forces collided and set fire to the city. 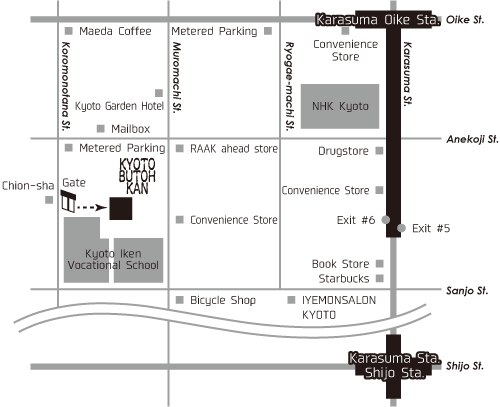 Kyoto Subway: Five minute walk from Karasuma line or Tozai line, Karasuma Oike station, Exit #6. 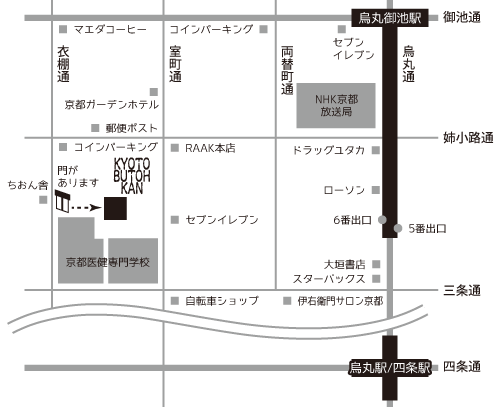 Hankyu Train: Ten minute walk from Kyoto line, Karasuma station, Exit #22. In the event of coming by taxi, please say "Koromo no tana san-jô dori agaru".